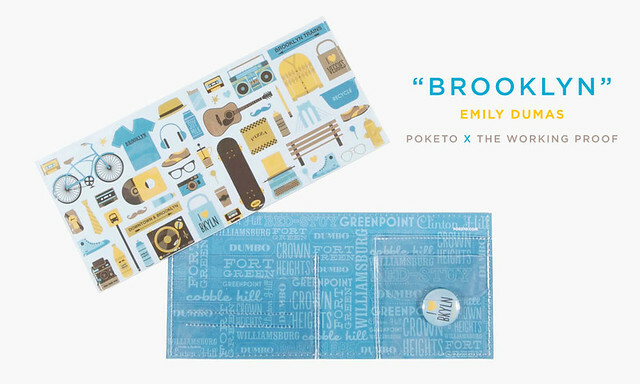 We are so excited to reveal the City Wallets series, our first limited edition artist-designed wallets of the year. 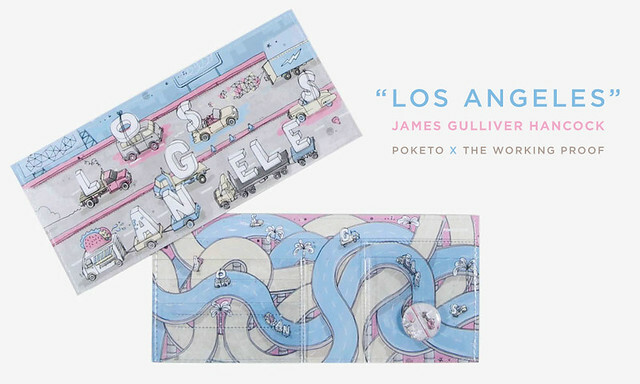 Featuring artistic renderings of Brooklyn, Florence, Cairo and Los Angeles, the City Wallets series bring out the fun, beauty and spontaneity of travel. It is also a special one designed with a cause in mind, and created in collaboration with The Working Proof, a New York-based organization dedicated to promoting art and social responsibility. Anna Corpron, a co-founder of The Working Proof, hand-picked the artists and theme of this project. 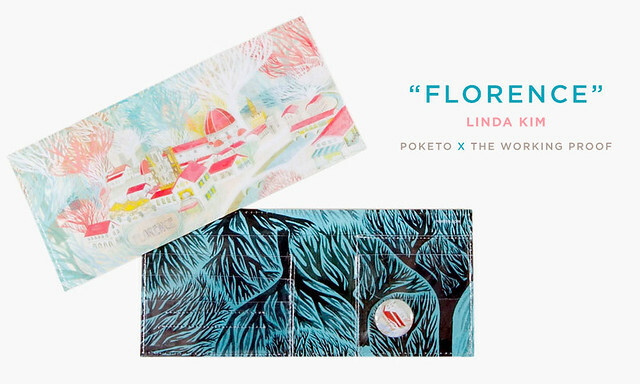 From 11th March to June 1st, Poketo will be donating 10 percent of proceeds from the wallet sales to 826LA, a nonprofit writing and tutoring center that provides under-resourced students aged 6-18 with opportunities to explore their creativity and improve their writing skills. 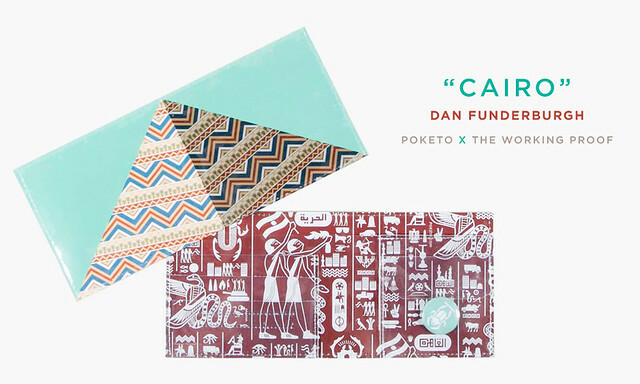 This marks the second time that we’ve released wallets to benefit a cause. Longtime fans of Poketo will remember that back in 2008, we worked with ten artists on another collection to benefit 826LA. The Working Proof will also carry the Wallets on their website, likewise donating 10 percent of wallet sales to 826 National. In the next few weeks, we will be rolling out artist interviews, so you get to find out more about the four talented artists behind each wallet. 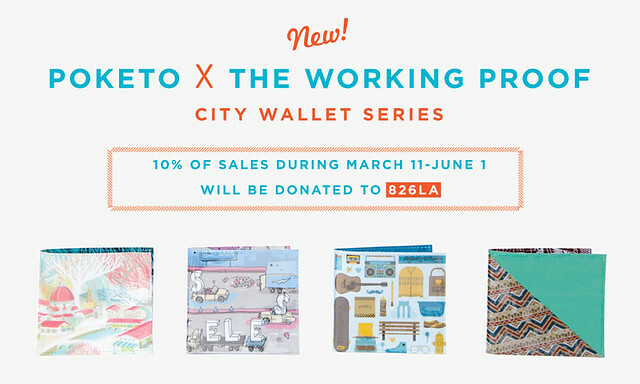 Meanwhile, do check out the City Wallets here and pick up one (or a few) for a good cause!